The bustling lifestyles of modern consumers have prompted great demand for products that boost energy. In fact, the International Food Information Council (IFIC) Foundation’s 2018 Food and Health Survey found energy is the third most sought-after health benefit following cardiovascular health and weight loss. Grandview Market Research reported the global energy drink market was valued at US$43 billion in 2016 and predicted to reach $84.8 billion by 2025 with a compound annual growth rate (CAGR) of 7 percent. While traditional energy drinks are still popular (retail sales for the top-selling energy drink brand in the United States reached $11.7 billion in 2017), warnings from doctors about excessive caffeine intake, bad press about hospitalizations and deaths from energy drink consumption, and the holistic health and wellness movement have led to a shift in the category. More brands are developing these types of beverages with organic and/or natural ingredients that are perceived as better-for-you. A substantial number of brands showcased natural and organic energy drinks at the 2018 Natural Products Expo West show, including Dark Dog Organic, Limitless, Guru and Zola. There is enormous potential for the natural and organic energy drink category; Grandview Market Research expects natural and organic energy drinks sales will reach $32 billion by 2025, which accounts for nearly 40 percent of the market. If you’re considering developing a natural or organic energy drink, keep the following category trends top of mind when developing your product. Some of the most common ingredients in natural and organic energy drinks are green coffee, green tea, guarana and ginseng. Depending on the goal of your product, you might want to consider one or a combination of these ingredients. Green coffee has less caffeine than roasted coffee (20 mg per serving compared to 100 mg) and has suggested benefits such as aiding with weight loss and disease prevention. It’s often combined with other energy-enhancing ingredients like B-vitamins and ginseng for a bigger boost. It can be found in products like Starbucks Refreshers, Zola Organic Hydrating Energy Drink and Rockstar Organic Energy Drink. Green tea has approximately 30 to 50 mg of caffeine per serving and, like green coffee, is suggested to promote weight loss and reduce risk of cancer. There’s a huge health halo surrounding green tea, which makes it a very appealing to consumers looking for a natural means to increase energy. One of the downsides of green tea is its low caffeine content compared to other ingredients, so additional caffeine fortification may be desired. Green tea is in GURU Organic Energy, Dark Dog Organic Energy Drink and Steaz. Guarana has about 70 to 200 mg of caffeine per serving which is almost as much as a cup of coffee. Despite its high caffeine content, guarana is rarely the only energizing ingredient and is often paired with green coffee, green tea or synthetic caffeine. Guarana is used in traditional energy drinks like Red Bull and Monster as well as those positioned as more natural like Scheckter’s Organic Energy, Arizona Fruit Punch Natural Energy and Yerbae. Ginseng (and panax ginseng) has no caffeine content, but it’s still a popular energy drink ingredient because of its functional properties. Ginseng is an adaptogen (a natural substance considered to help the body adapt to stress) and is also high in antioxidants; additionally, it’s suggested to have anti-inflammatory properties, improve brain function, and aid with weight loss. Panax ginseng is very similar but it comes from a different part of the plant and is suggested to have different types of ginsenosides (the active ingredient in ginseng), so some brands call it out specifically. Ginseng is in beverages like Hi Ball, Starbucks Doubleshot Energy and Feel Natural Energy. In addition to functional ingredient claims, brands are positioning their products as clean label. Brands in this space are making claims like clean energy, organic energy, natural energy and healthy energy. Clean energy can be found on labels for brands like Runa, Mama Chia and Clean Cause. Organic energy is within the name of Dark Dog Organic Energy Drink, Organic Amazon Energy, GURU Organic Energy Drink and several others. Natural energy is on products like Starbucks Refreshers, Arizona Water Melon Natural Energy and Feel. Some brands have even gone so far as to make a healthy energy claim on the label, like FRS, Celsius and MATI. It’s interesting to note that, except for organic, none of the claims are regulated or require certification. However, be careful about making product claims that are unmerited. Choosing which sweetener will be most appealing to your target consumer can be difficult because consumers’ perceptions vary. Sugar is often a concern for consumers who are seeking “healthier” beverage options because it is considered a key culprit in the rise of obesity and diseases like diabetes, but it’s also a familiar ingredient and regarded as natural. Natural, non-nutritive sweeteners like stevia, monk fruit and sugar alcohols (xylitol, erythritol) are common in natural and organic products. However, some consumers avoid products with these types of sweeteners because they are not familiar with the ingredient, the ingredient may have a bitter or metallic taste, or the ingredient may cause an adverse reaction to the consumer such as stomach upset. From a formulation standpoint, they also can create challenges with mouthfeel and texture. Sugar, cane sugar, and fruit juice (which naturally contains sugar) are some of the most common sweeteners in natural and organic energy drinks. In a survey of 20 natural and organic energy drinks, including the ones mentioned in this article, sugar or cane sugar were used in 12 beverages, and fruit juice was used in 7 (some products also use both). Stevia, monk fruit and sugar alcohols are used in only a handful of natural energy beverages, such as Feel, Zevia Energy, Honey Bee Energy and Matcha Bar. Additionally, there are a few products like Hi Ball Energy and Limitless Lightly Caffeinated Sparkling Water that don’t use sweeteners at all, which is a growing trend across beverage categories. There’s plenty of opportunity to play with sweeteners when developing a new energy drink—especially when reducing or completely removing sugar—and to potentially highlight them as a differentiator when marketing your product. Examples of ways that brands can reduce sugar without compromising on taste include taking a “systems approach” by combining different sweeteners or different versions of one kind of sweetener (like stevia) to achieve an ideal taste or using natural flavor technologies that amplify the inherent sweetness of ingredients. 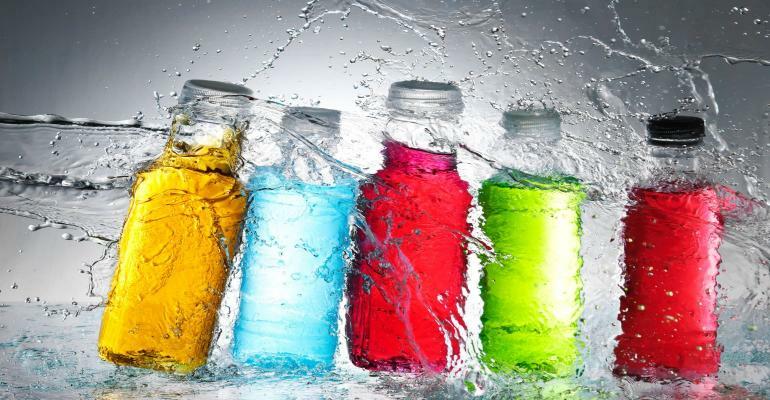 There are so many functional beverages on the market that consumers can pick and choose products that fulfill their individual needs. Energy drinks were one of the first mainstream functional beverages and continue to be in high demand. However, because consumers have become more discerning about what they put in their bodies, they want to experience function through natural means whenever possible.